Monrovia-Liberia - Vice President Chief/Dr. Jewel Howard-Taylor has officially signed the Eton PLT Finance, Ltd. Loan and the EBOMAF Loan Agreement recently ratified by the Liberian Legislature. Recently, His Excellency George MannehWeah placed before duly elected and accredited Representatives of the Liberia people, assembled in the First Session of the 54th Legislature, the two proposed agreements for the securing of much needed funds to tackle the road challenge in the country. 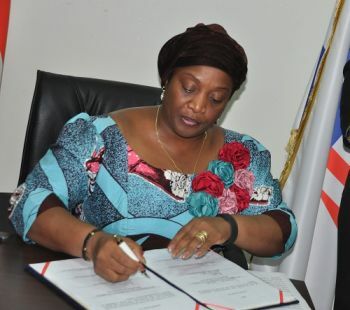 In her official capacity as President of the Senate, Vice President Howard-Taylor said she was affixing her signature to the two agreements which have the greatest potential to positively impact the lives of the Liberian people in all sectors. In a statement read at the signing of the agreements, VP Howard-Taylor according to a release from the VP’s office asserted that Liberia is on the verge of great transformation. “We as a people have long yearned for the advancement of our lives and the repositioning of our country to an enviable place in the comity of nations. We are all agreed that the lack of basic infrastructure, particularly road networks, has inhibited our forward march in large measure for more than 170 plus years,” the Liberian VP averred. 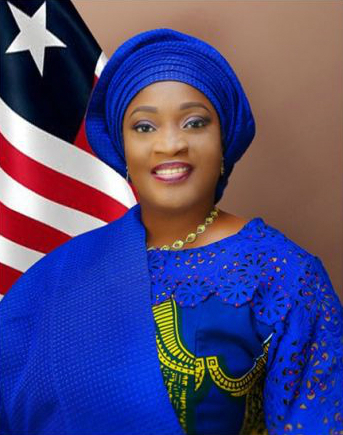 She noted that it was her pleasing duty and great honor as Vice President of and President of the Liberian Senate, in accordance with Article 51 of our 1986 Constitution, to affix her signature to the historic documents. President George M. Weah recently submitted a Loan Financing Agreement between EBOMAF SA of Burkina Faso and the Government of Liberia in the tune of US$420,810,000 to the Legislature and craved the indulgence of the lawmakers to swiftly ratify the loan agreement. Prior to this submission, the Liberian leader also forwarded for ratification the US$536.4 million Eton PLT Finance, Ltd,Loan Agreement. Both loanstarget the construction of road network around the country.